BRIGHTON, Mich - America's truck leader for the past 37 years has hit yet another milestone in its career. The 500,000th Ford F-150 with the EcoBoost Engine has been Sold, whose popularity has boosted immensely since its introduction just three years ago. Customer demand for the 3.5-liter V6 EcoBoost®-equipped F-150 can be seen in black and white; it has represented 45 percent of F-150 pickup truck sales in 2014 -the best-selling engine in the lineup. We can't say we blame customers for wanting such an efficiently equipped vehicle. In the last 38 months F-150 EcoBoost owners have collectively saved an estimated 56.8 million gallons of gas on an annual basis, who wouldn't love that? To get figurative, the amount of fuel saved with these F-150 EcoBoost trucks equates to an entire city which 70,000 homes going without electricity for a year OR the installation of 139 wind turbines. Seriously, how could a customer choose any other light- duty truck? At this point, people cannot say no to such an efficient, high-quality vehicle. Over the last three years, retail registrations of light-duty pickups with V6 engines have grown more than 600 percent -and F-150 models are directly responsible for 91 percent of this growth. 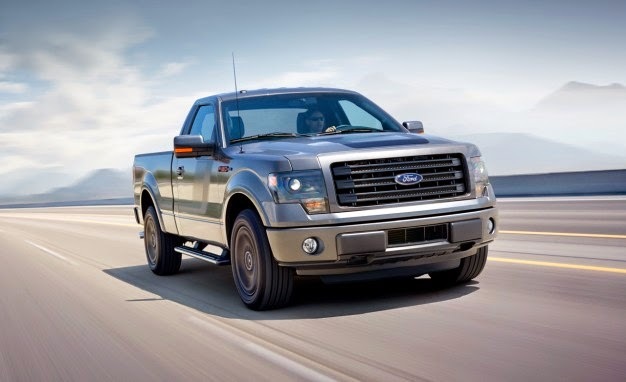 The 500,000th Ford F-150 with the EcoBoost Engine has been Sold, but not just because of the efficiency level. Today, customers are looking for the entire package when purchasing a truck. Does it have good highway and city mileage, how much horsepower and towing capacity does it have? Ford realized that in order to meet customer's needs, they needed to create a truck package that accomplishes all of the work a customer will need it to do. So, the F-150 with the EcoBoost engine was born. 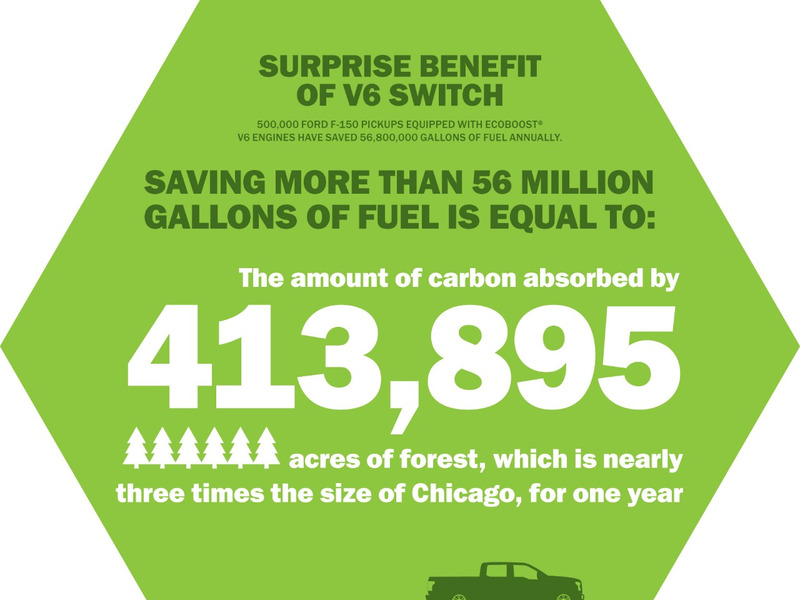 By Ford offering the F-150 with V6 engines opposed to the V8s, they have already helped save 56 million gallons of fuel. Can you imagine this number once the 2015 Ford F-150 with the 2.7-liter EcoBoost engine and standard Auto Start-Stop goes on sale? Yeah, we can't either. At Brighton Ford, we work with our customers to understand exactly what type of vehicle they are looking for. Let us find you a vehicle with the entire package, meeting every single one of your driving needs. Come on in for a test-drive today! Brighton Ford is located at 8240 Grand River Ave. just north of I-96 in Brighton. We are a family owned and operated business that strives for customer satisfaction. For more information on Brighton Ford visit BrightonFord.com or give us a call at (800) 836-8206.